John Wilfred Fenton was born in Hamilton in 1893, the son of John Fenton & Helen Laidlaw of “Lantana”, Hamilton. 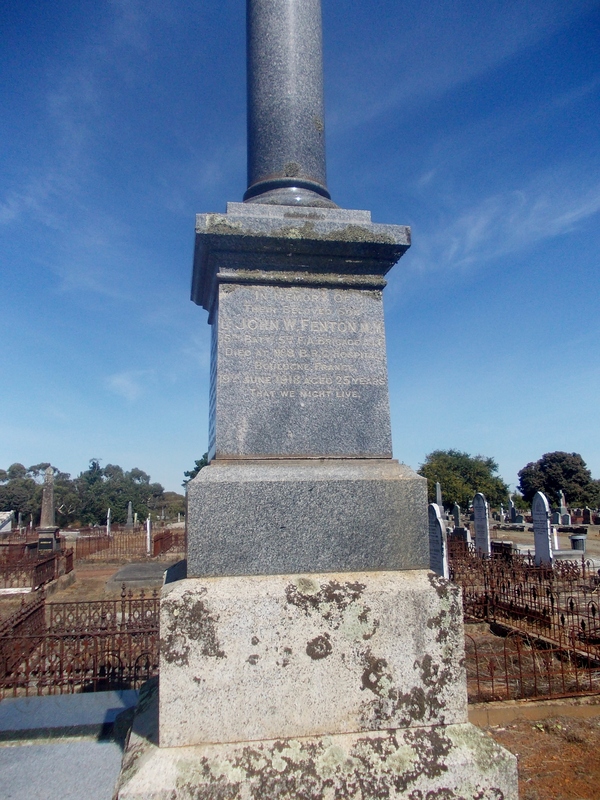 John Fenton Snr was a stock & station agent, a Hamilton Councillor for 14 years and Mayor from 1904-06. John Jnr known as either “Jack” or Paddy,” attended Hamilton College and then Geelong College in 1909 and 1910. After school, he returned to Hamilton and managed his father’s rural property. He was a fine athlete both at school and after and played for Hamilton’s Caledonian Football Club. 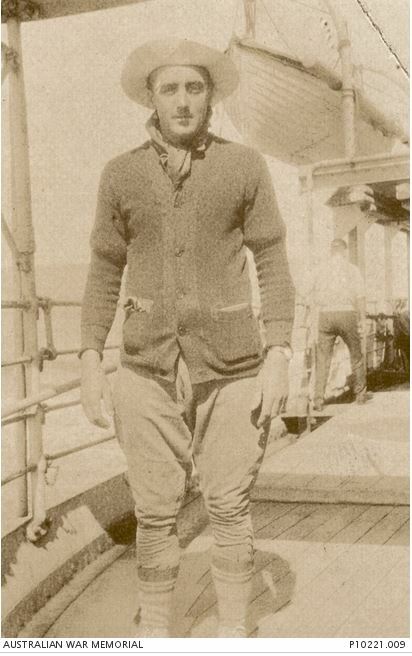 John enlisted in July 1915 and left Australian on 18 November 1915 bound for Egypt with the 4th Field Artillery Brigade. On December 18, exactly a month later, John’s mother Helen passed away from illness aged 55. During December 1917 while serving in France, John Fenton was awarded the Military Medal for bravery and promoted to 2nd Lieutenant. Six months later John was gassed at Ribemont on 31 May 1918. The shell burst at his feet and John was hospitalised suffering the effects of mustard gas. He died in hospital on 19 June 1918 and was buried at the Boulogne Cemetery in France. John is remembered on the Hamilton War Memorial and a tree was planted for him in 1918 along Clarke Street’s Memorial Avenue. A memorial for John is also on the Fenton family grave at the Hamilton Old Cemetery. My great grandfather is Daniel Fenton Nicol . Is there a link to this family?